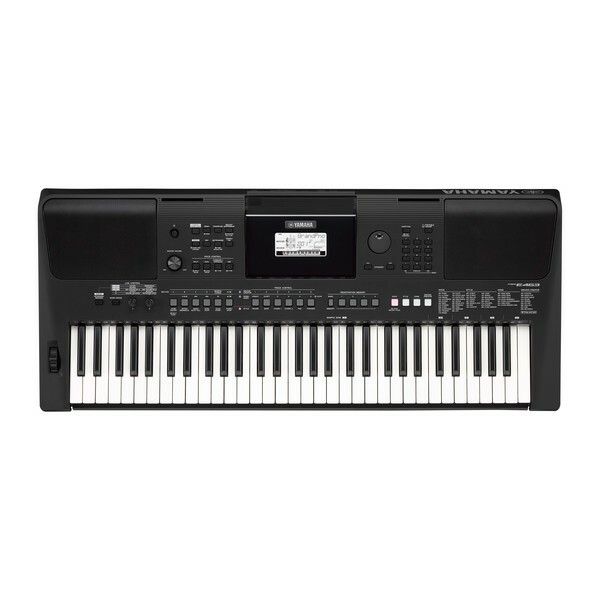 Take your learning experience to the next level with the Yamaha PSR E463 Portable Keyboard. Easy to move, easy to carry. You can take your keyboard anywhere. Practise, learn and play at any time. 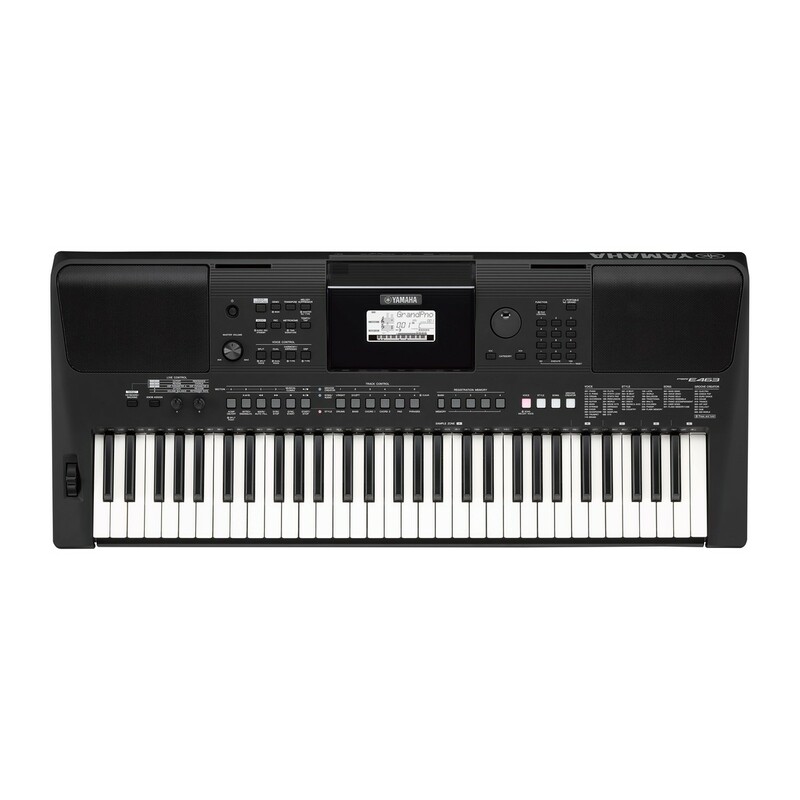 Built with 61 touch responsive keys, 2 powerful in-built speakers, assignable live control knobs, and a range of recording features. 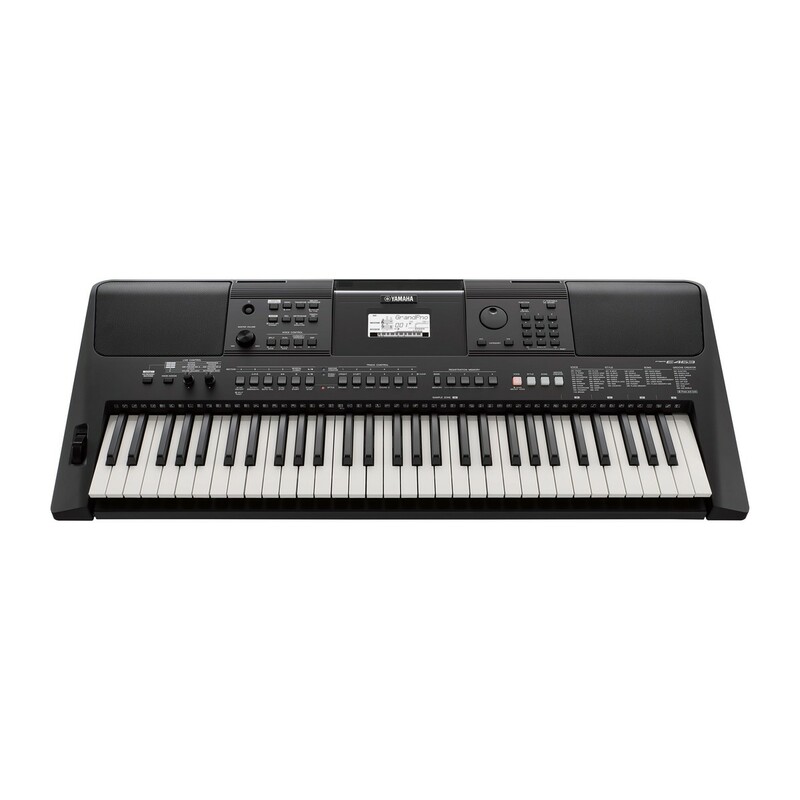 This keyboard offers some incredible opportunities for aspiring musicians to explore a range of playing styles and genres. Connectivity could not be any easier than this. With a USB to HOST and USB to DEVICE inputs, you can easily connect your smart devices and computers to the PSR E463. By connecting to an external audio player via the AUX-In jack, you can play along with your favourite songs or record your performance to a USB flash drive. Move to the groove! 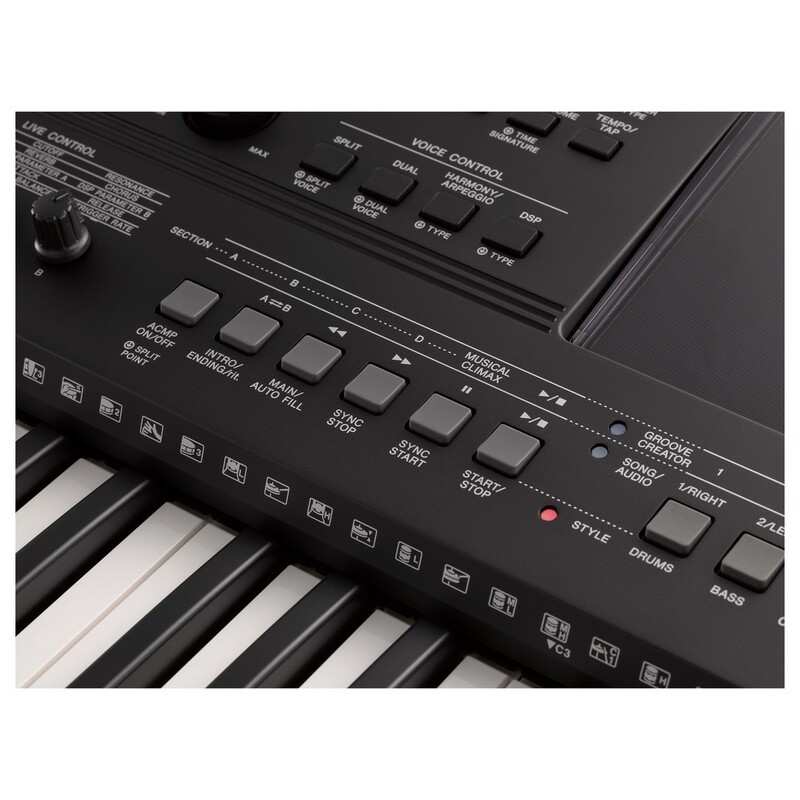 The Quick Sampling feature allows you to record and play back your favourite sounds straight from the keyboard using the AUX input. With Groove Creator you can perform in the latest styles, adjust the groove and mix to set the scene. 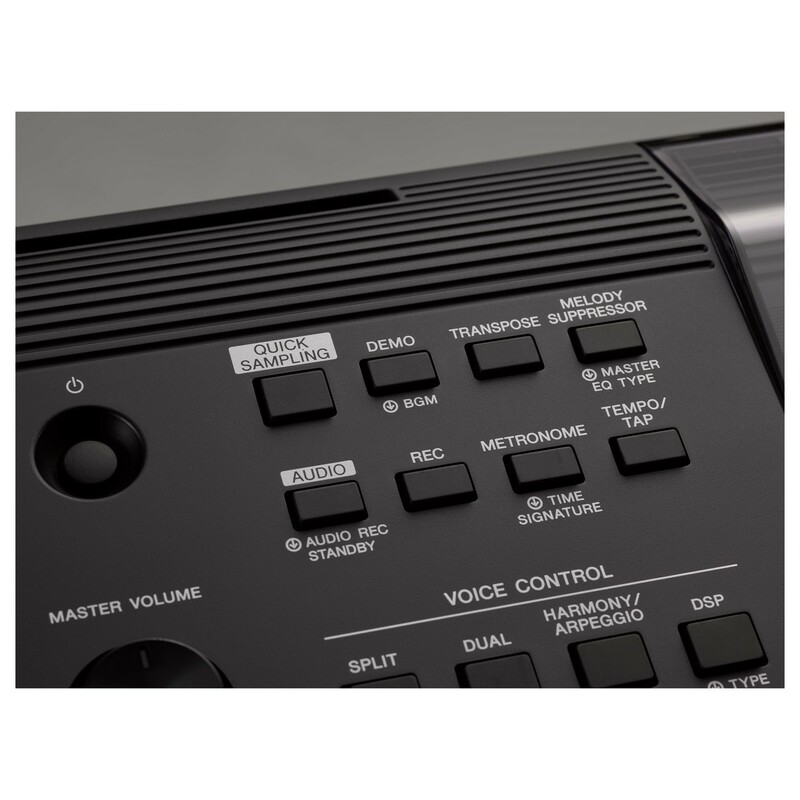 The PSR E463 benefits from a comprehensive voice library. So you can explore a range of voices and rhythms. 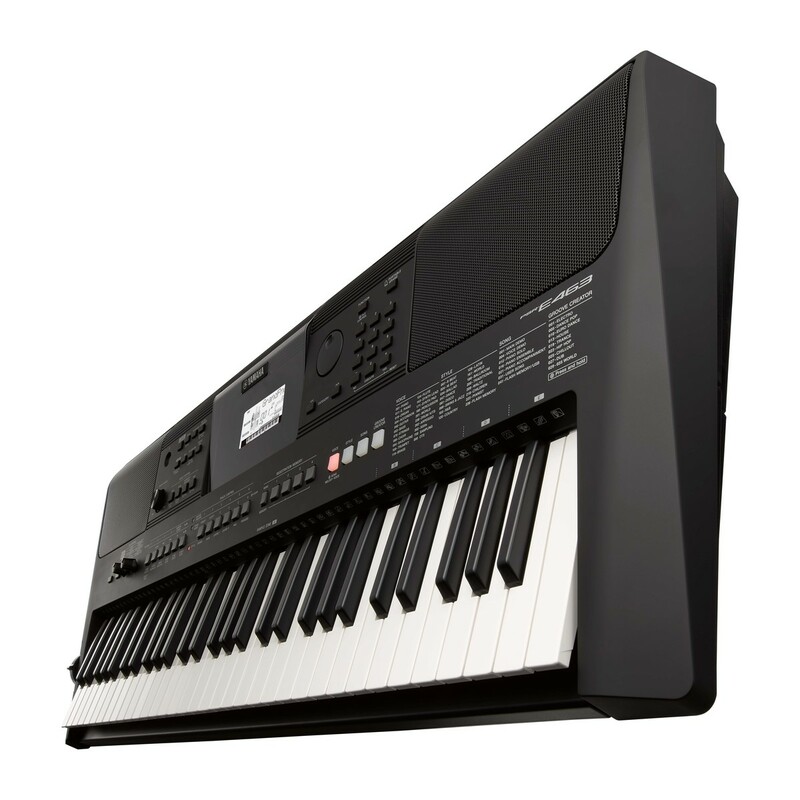 Featuring over 700 high quality sounds, the PSR E463 includes a range of keys, synths, guitars and brass instruments to be explored. 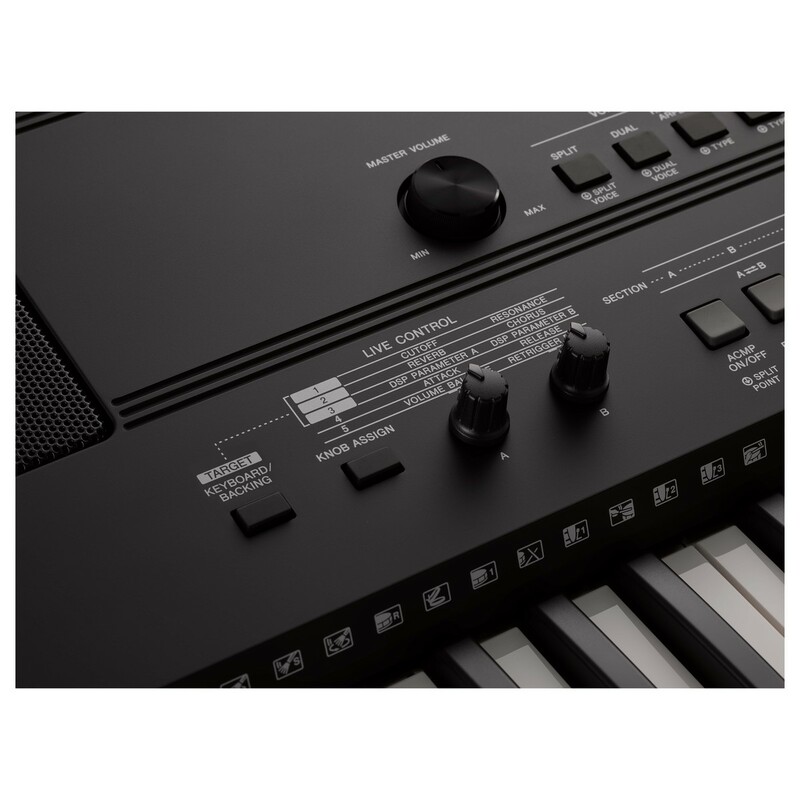 While the auto-accompaniment mode supports your performance with over 200 different backing tracks, based on the chords you choose. Groove Creator links with Electronic Dance Music and worldwide dance music groove to find the sound that is right for you. 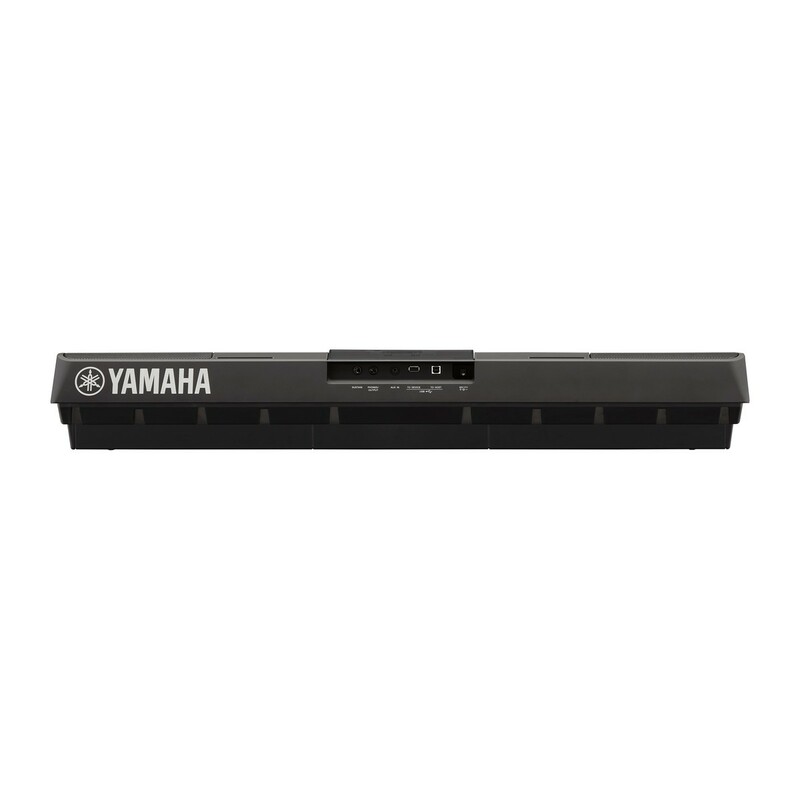 This function can be easily controlled using the intuitive interface and display guide.